The reverse mortgage has come a long way from its inception in 1961. Through all these years, there have been many misconceptions about what the product is and does. The truth is, in present day, the reverse mortgage is an ethical product with the simple intention to help seniors age in their homes. Most negativity about reverse mortgages stemmed from certain practices in the 1980s, when the product was not yet fully monitored by the U.S. Department of Housing and Urban Development (HUD). Retirement means something completely different for most people now than it did one or two decades ago. Instead of people aiming to retire to a warm destination to play golf all day, retirement now means starting a new business or pursuing a passion that there wasn’t time for previously due to work and other obligations. 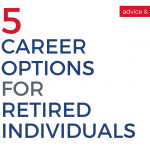 What are some great career options for those who are retired? According to an analysis performed by Interest.com using data from 2011 U.S. Census Bureau, the annual median income of our nation’s seniors is approximately $35k, less than 60% of those ages 45-64. CNNMoney reports that Nevada and Hawaii are the only two states where senior income meets the recommended 70% replacement of pre-retirement income. Business Insider debunks 13 common beliefs people have on saving for their retirement. A few that made the list includes assuming you can get by in retirement with less income, the ability to postpone retirement and continuing to work until your early 70’s, and relying on Medicare for long-term health care needs. NerdWallet, a financial advice website, compiled the list by analyzing the 50 most popular U.S. cities on factors considered most important to seniors when looking for a place to retire. New retirement communities, continuing care retirement communities or C.C.R.C., are popping up across the country. A C.C.R.C is a continuing care program without walls. Members pay an entry fee ($20,000 to $70,000) and monthly fees ($250 to $800) and receive a guarantee of lifelong care. The catch, a good catch, is that these programs are helping people stay healthy and age in place for as long as possible. CBS Boston: Is A Reverse Mortgage Right For You? Dee Lee, Certified Financial Planner, explains how reverse mortgages are becoming a better financial product causing them to become more popular. There are pros and cons to a reverse mortgage and they are not for everyone, but those people the product is suitable for are staying in their homes and are financially more independent. 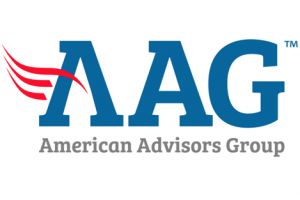 In a recent research brief released by the Center for Retirement Research at Boston College, the research team posits that those nearing retirement should worry less about asset allocations and look to other more effective tools including reverse mortgage loans.